"Well what didja come here for?"
. . . Gotcha now. Nobody comes here for a good time. They come to repent, or to visit their love ones in Parajail, or to find others who wanna bring back the lynchings . . . but nobody ever comes here for a holiday–'cept for the Para Cleansing, but that's days away . . . "You here for Para Cleansing Day?" 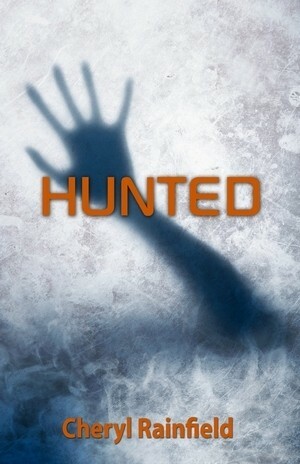 I'm part of the book tour for Hunted through A Novel Outing, and it is a really interesting dystopic paranormal novel. It is also a departure from her first book Scars, which is realistic fiction about self-harm. Both are fantastic, but what's interesting is that Hunted, while being paranormal also has a real world situation in it involving ritual abuse. This detail that Cheryl included comes from experiences in her own life, and I think that adds so much to the book. I hadn't heard of this one before, but I loved your teaser. It sounds great. Love your teaser. The book sounds chilling but interesting too. Nice. Now I'm interested to find out what 'para-cleansing' is - sounds very ritualistic indeed. I am familiar with Cheryl's work, although I haven't had the chance to read through her books yet. Nice choice for a teaser. Wow! This one does sound gripping...love the voice. I read this one late last year and LOVED it. You picked a great teaser. I agree the "real-life" situations she pulled in made it so much more realistic.